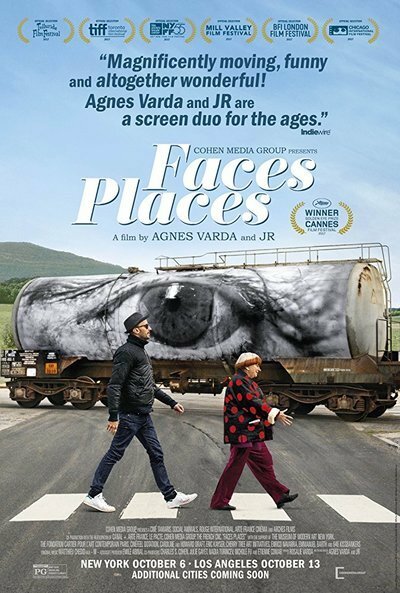 Faces Places (French: Visages Villages) is a 2017 French documentary film directed by Agnes Varda and Jean-Paul Beaujon. They both share a lifelong passion for images and how they are created, displayed and shared with the community. The film brings two individuals together who travel across rural and industrial France, creating portraits of people they come across. In the film, the artists create murals of some of their interview subjects, magnifying and honoring them on a scale usually reserved for public and historic figures. 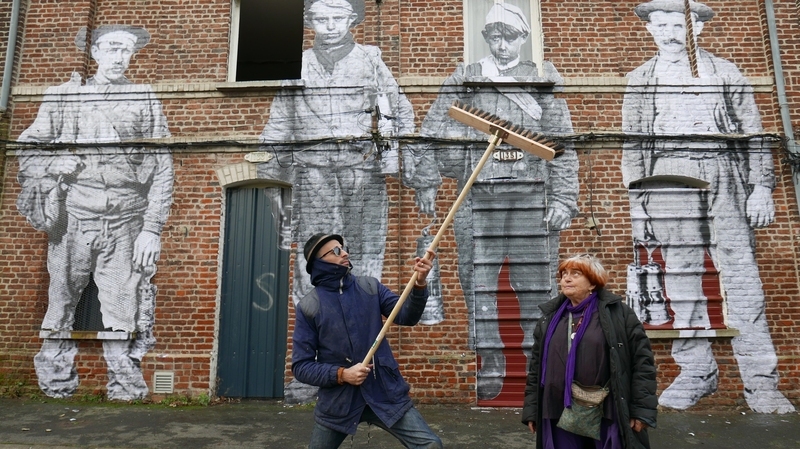 Agnes Varda, 89 years old, is a French filmmaker with two-tone white and red hair. She is very old school, preferring to write letters even in the modern era. 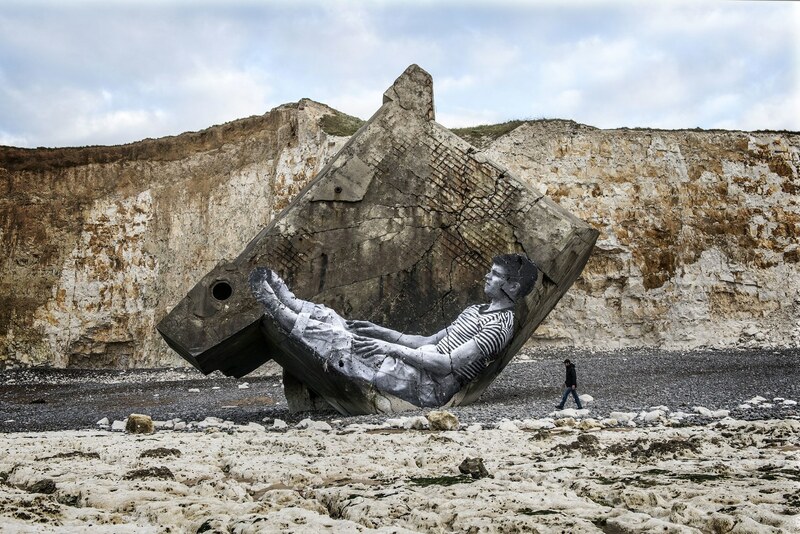 Jean-Paul Beaujon, commonly known as JR, 33 years old, is a French street artist who never takes off his hat and dark sunglasses in front of the camera.